We offer products from Stainless Steel Sheets, Stainless Steel BBQ Grills, Kitchen Backsplash, Steel Hoppers to Paper Weights and Coat Racks. Our high tech equipment means we're equipped to tackle projects requiring high speed sheet metal laser-cutting, sheet metal forming, high speed sheet metal punching, precise sheet metal shearing, pipe cutting, pipe threading, welding, and assembly. 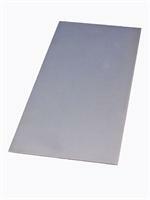 We have a large inventory of top-quality stainless steel sheets in stock to fit any job! 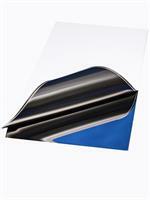 We also have the most competitive stainless steel sheet pricing you will find. Check us out and buy today! 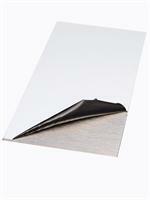 We also offer custom cutting on any sheet you buy. Starland Metals can deliver the size and type you want all for a great low price. Stainless Steel and Powder Coat Finish. 7 hook configuration for easy installation. 7 Hook coat rack 48" long. Aluminum Custodial and Maintenance Dust Pan.